The LS Hunter Micro Lite from LimbSaver is constructed from a narrow 5/8" diameter, ultra-rigid, high-modulus carbon fiber that does not flex or bounce to give you optimum stabilization. The LS Hunter Micro Lite features a vibration- dampening Double-Broadband Node on the end. The NAVCOM® (Noise and Vibration Control Material) technology helps cut out hand shock, vibration and noise. 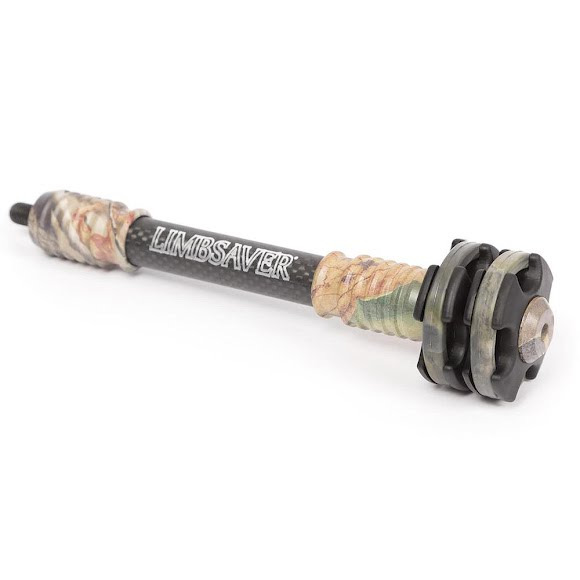 The LS Hunter Micro Lite from LimbSaver is constructed from a narrow 5/8" diameter, ultra-rigid, high-modulus carbon fiber that does not flex or bounce to give you optimum stabilization. The LS Hunter Micro Lite features a vibration- dampening Double-Broadband Node on the end. The NAVCOM® (Noise and Vibration Control Material) technology helps cut out hand shock, vibration and noise. This 7" ultra-light stabilizer weighs only 2.7 oz, perfect for hunters who want to keep their bow as light as possible.